That brings us to the next problem: inflation. When the printing presses run freely, it’s not only reactionaries who think that runs the risk of spiraling prices. As I was researching this piece, many people to whom I described MMT, from Democrats to Marxists, brought it up as a worry. MMTers are coy about the topic — they never say how much is too much, and they profess great confidence in their ability to control it. In a paper criticizing MMT, the left-Keynesian economist Thomas Palley says he’s heard a “leading” MMTer say inflation less than 40 percent is “costless.” That’s nearly three times the modern US record of just under 15 percent in 1980, which was widely regarded, and not just by bondholders, as a crisis. Since wages typically lag behind price changes, inflations can lead to real declines in living standards. Oddly enough, one of the most important policy makers in the last two decades, former Federal Reserve Chairman Ben Bernanke, agrees with Henwood on the inflationary impact of MMT-style dollar printing. Bernanke however viewed this impact positively because he believed the U.S. economy faced the more pressing risk of deflation. To address this danger, Bernanke argued Washington should be prepared to use its ability to create unlimited fiat dollars on a computer terminal and force the tokens into circulation in much the way MMT describes. In a deflationary crisis Washington could depreciate the value represented by a single dollar to whatever extent necessary by a series of measures involving purchases of both domestic and foreign bonds. These purchases could be undertaken in cooperation with a fiscal stimulus program — including a so-called ‘helicopter drop’ of cash on households and a huge tax cut. Modern money theory isn’t a new idea by any mean; it was how FDR implemented the New Deal response to the Great Depression. Surely MMTers believe that the US could print more money and that the USD would *not* depreciate (until the US economy is at full capacity, involving a JG programme which would utilise the reserve army of labour)? In contrast, the Bernanke and prior conventional policies you describe expect USD depreciation but use it to attack deflation. As Michael Roberts laid out quite clearly in a bunch of recent posts, a sovereign currency nation can print its own money but cannot control the value at which that money is exchanged, more money will lead to inflationary pressures as all actors lock in expectations of those pressures. MMTers may see more scope for utilising economic capacity but if capitalists don’t see that capacity utilisation as bearing a strong return they’ll just hike prices and set off an inflationary spiral in the chain of debt and wage obligations. Ps Jehu I love your work! Thank you for those words. I appreciate them. The same case might be made if, for example, crops that cannot be sold in the market are now purchased by the government using the same MMT-financed method. A third case might be made in the case of an MMT-financed housing construction program to build affordable housing using unemployed workers and idled construction material. I honestly would like to hear your thoughts. Conventional Keynesian and MMT policies exist on an under-consumptionist continuum. Both seek to improve effective demand by utilising latent economic capacity, assuming that demand driven inflationary pressures only arise when the monetary expansion exceeds the ability of circuits of capital accumulation to absorb it. The former does this by enticing capital on investment strike (money that has been hoarded) back into circulation (through a minimal guarantee of return at (currently pathetic) interest rates) and on-investing that in such ways that can reinvigorate the “animal spirits” of capital (surplus value generating circuits of capital). The latter does it by creating new spending power and targeting that at the unemployed who perform surplus value generating work (except, do they? Is it surplus-value generating?). Still, under-consumptionism is a dead end as you very well articulate. As a matter of fact, these policies never work. 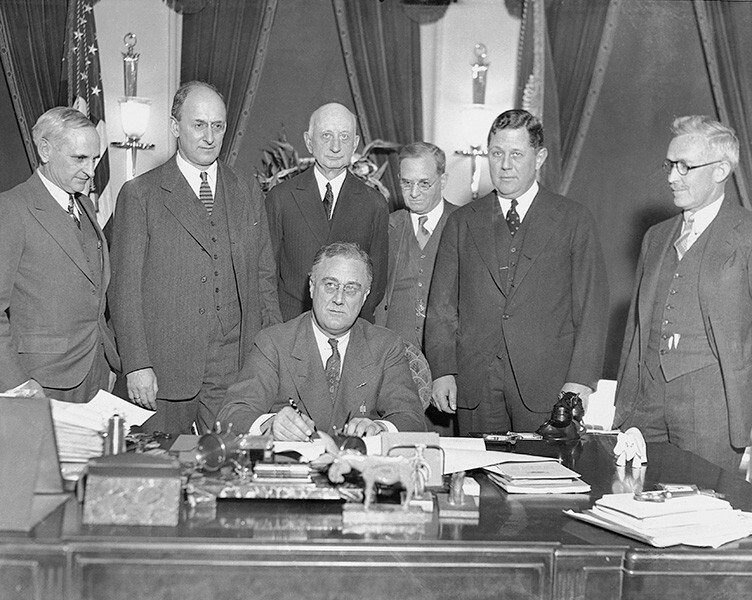 The New Deal only started properly working in the context a war economy as Keynes himself admitted. Postone’s treadmill doesn’t quite illustrate the magnitude of the problem for capital – even with the vast destruction of use-value in the 2011 earthquake in Japan, which was the costliest natural disaster in history, this has not been enough to rehabilitate Japan’s (from capital’s perspective) anaemic economy. Anyway, I digress. Keep up the excellent work Jehu. * Therefore, is there an outside chance that MMT policies could be helpful in exposing the contradiction between the rising organic composition of capital (inc. the rising superfluity of labour) on the one hand, and on the other, that lack of efficacy of under-consumptionist conventional policies, which always treat the symptom (the stalling of expanding commodification)? Is there an opportunity for “egress” here? Is this wishful thinking? Perhaps. I am asking, not insisting.